Explore the hands-on exhibition, get creative in the Invention Studio and see the live science show! Discover some sweet science in an epic live science show featuring a sugar flame thrower and exploding fat! Daily at 11am, 12 noon, 1pm, 2.30pm and 3.30pm. 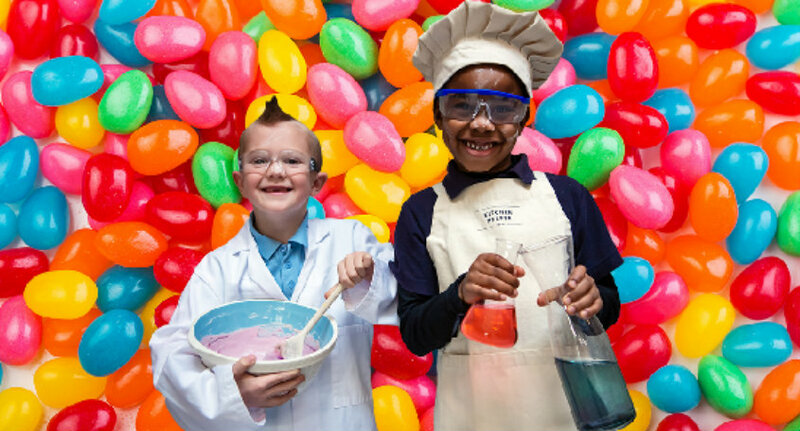 Get creative in the Invention Studio and make your very own Wonker-inspired sweet machine with support from the Centre’s excellent team of Inspirers. To make the most of your day, please visit the Plan Your Visit page. To make the most of your visit, book tickets for the planetarium and take a virtual flight through space! Winchester Science Centre is run by an independent educational charity. £12 per person (children under 3 years old free). Opening hours are 10am – 5pm.